Thomas H. Bateman III - Mediator & Arbitrator based in Tallahassee, Florida. Please click your preferred available date to submit a request. Your Appointment Form will be sent to Tom's assistant, Tanya Weiss. Since retiring from the circuit court bench in 2009, Tom Bateman has been serving as a full-time Florida Supreme Court Certified Mediator, Qualified Arbitrator, Special Magistrate and Insurance Umpire. An attorney member of The Florida Bar for over 35 years, 19 of which serving as a Florida State Court System trial judge, Tom has trial as well as mediation and arbitration experience in all manner of disputes ranging from employment and workplace disputes, personal injury, medical malpractice, complex commercial transactions, insurance coverage, receivership, non-compete agreement disputes, doctor-hospital employment disputes, public body sovereign immunity, contract interpretation and declaratory judgment disputes, road and building construction disputes, civil rights, patent and trademark infringement cases to non-child custody family law disputes, as well as residential and commercial foreclosure and other real property disputes including boundary, title, eminent domain and inverse condemnation disputes. From January 1990 to January 2009, Tom served as a Leon County Judge and Florida 2nd Judicial Circuit Judge before retiring after 35 years of public service as a deputy sheriff, assistant public defender, assistant attorney general, state agency general counsel and Florida trial judge. As an attorney, Tom's practice focused on civil and criminal trial litigation and appeals, and he has appeared in every level of the state and federal trial and appellate courts. From 1987 to 1990, Tom served as General Counsel to the Florida Department of Transportation, the 4th largest transportation agency in the United States with 67 lawyers in 9 offices throughout the State of Florida. 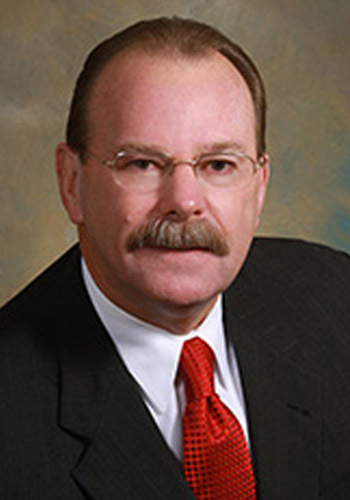 Specializing in complex state and federal civil trial court and state appellate court mediation, arbitration, as well as pre-suit negotiation and mediation, Tom was a long-serving member of the Florida Supreme Court's Alternative Dispute Resolution Rules and Policy Committee terming off on June 30, 2015, and a former member of the Mediator Qualifications Board, the discipline arm of the Florida Supreme Court as it relates to mediators. He served as a member and chairman of the MQB's Northern Division. He chaired the Florida Supreme Court's Task Force on the Management of Litigation in Complex Cases and served as the chairman of the Florida Supreme Court's Work Group on Jury Management Issues. Tom is a former member of the Executive Council of the Alternative Dispute Resolution Section of The Florida Bar and was the 2013-14 Chair of The Florida Bar's Civil Procedure Rules Committee, which encompasses rules of court procedure relating to mediation and arbitration. Before terming off the Rules Committee on June 30, 2105 he chaired several subcommittees including the Internal Operating Procedures Subcommittee, the Uniform Time Standards Subcommittee and the Rule 1.442 Proposals for Settlement Subcommittee of the Civil Procedure Rules Committee. Tom has been appointed or elected to serve as the Chair or member of numerous Florida Supreme Court committees and task forces as well as Florida Bar Committees including the Professional Ethics Committee, the Rules of Judicial Administration Committee, three court procedure rules committees as well as Chair of the Government Lawyers Section of The Florida Bar. MEDIATION, SPECIAL MAGISTRATE, SPECIAL MASTER and UMPIRE: Hourly rate starts at $350.00/hour (for 2 - 4 parties) (Rate varies depending on complexity of the mediation and the number of additional parties involved); ___________________________________________________________________________________________________________________________________________ TWO (2) hour minimum; FOUR (4) hour minimum if travel to Franklin County or counties outside of the 2nd Judicial Circuit is required; ___________________________________________________________________________________________________________________________________________ DEPOSIT: TWO (2) hour or FOUR (4) minimum apportioned to each party; must be paid in advance to hold date on the calendar; all payments will be credited to Final Invoice. No additional charge for travel within the 2nd Judicial Circuit, except Franklin County; Franklin County and elsewhere, current IRS mileage rate unless other arrangements made in advance. ___________________________________________________________________________________________________________________________________________ ARBITRATION: Pre- & Post-Hearing Hourly Rate: $350.00/hour; Half-day (<4 hours) Hearing Rate: $1,400.00/half-day; Full-day (4 - 8 hours) Hearing Rate: $2800.00/full-day Lodging and Travel: actual expense; current IRS mileage rate if travel outside Leon County, FL is required.